Everything is a lot right now. Sounds like an understatement, but it’s true. We just got out of 2018, a year that lasted forever, and, honestly, 2019 isn’t looking any better. Things are still Pretty Bleak. We’re stressed, we’re tired, everything is happening all of the time, and there’s no end in sight. Self-care has become a vital routine for a lot of us as a way of unwinding and decompressing. Taking the time to be kind to ourselves is important, and a way to keep from feeling overwhelmed and like the answer to every problem is to set a trashcan on fire and run away. But one area where we don’t necessarily practice self-care is entertainment—just think of all the people still watching The Walking Dead. Rrecently I have been actively searching for entertainment that not only makes me feel good, but actively RELAXES me. Perhaps it makes me laugh a lot. Maybe it prompts a good cleansing cry. Maybe I pick up some little lesson I can apply in my own life and be that much kinder to myself. This year, we’re going to be talking about entertainment self-care, sharing the shows and programs that are more than just a distraction, but a way of introducing self-directed kindness into our programming. First up, something I like to call “super soft TV” (h/t Letterkenny). It’s shows that are undemanding, good-humored, good-hearted, that make you feel good and take the edge off your day. Basically, it’s TV shows that are the entertainment equivalent of smelling fresh laundry. Canada! 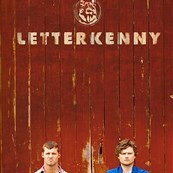 How could you not tell me about Letterkenny! How long have we known each other? And you don’t mention it ONCE? I am very Put Out. 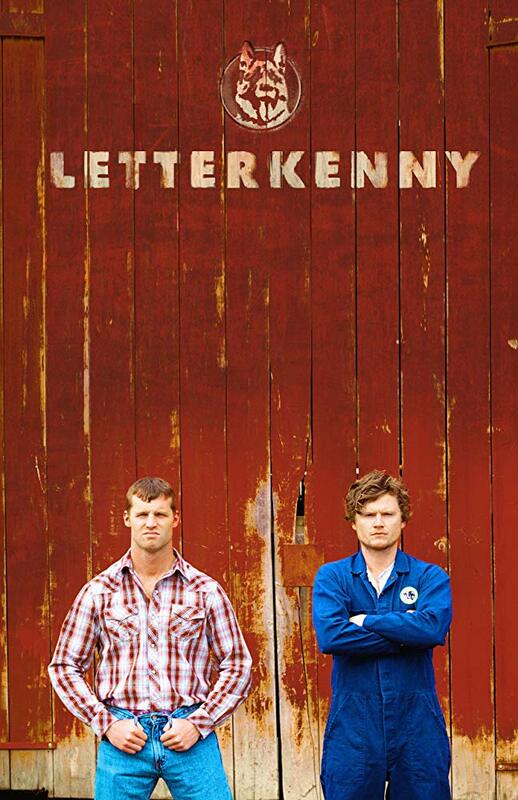 All six seasons of Letterkenny, a Canadian sitcom about farmers in a small Ontario town, dropped on Hulu last year (in Canada it airs on CraveTV). Letterkenny is a hang-out sitcom with the lowest imaginable stakes, which makes it perfect super-soft viewing. It’s like if the gang from Always Sunny were nice Canadian farmers and instead of constantly scheming to get ahead at one another’s expense, they spent all their time helping their neighbors and planning super-soft birthday parties. It’s the kind of show you don’t have to pay close attention to, which makes it great for end-of-day watching. There are forty episodes, each 25-30 minutes, and thanks to a number of running gags, it’s perfect binge-watching. Just sit back and let the hicks’ puns and wordplay wash over you in a gentle Canadian wave. Do you like to watch items be sorted and put into order, but Hoarders gives you hives with its wrenching emotional drama and clinical diagnoses? Well, Netflix’s Tidying Up with Marie Kondo is like Hoarders-lite, with all the relaxing visuals of spaces becoming organized, and none of the upsetting clinical issues. The people on Tidying Up are just folks who have gotten a little overwhelmed and need some help digging out before their clutter becomes a REAL problem. And Marie Kondo, a smiling but firm directress, is the ideal super-soft presence: Kind, understanding, and determined to help you. Her trademark line “spark joy” has set the internet into a meme-whirl, but honestly the joy of her show is looking around your own clutter, however big or small, and asking yourself what in your life is sparking joy, and finding that exercising control over small circumstances can make coping with the lack of control over larger circumstances easier. Bob Ross, the seminal be-permed painter from public access television the in the 1970s and 1980s, has a pair of shows on Netflix which group his low-budget painting classes into Chill with Bob Ross (all winter scenes), and Bob Ross: Beauty Is Everywhere (water and sunsets). Bob Ross, with his twinkly eyes and soft voice, paints so fast there is no way anyone but an equally talented artist could keep up, but the point of watching Bob Ross is not to paint, or even learn to paint—though he WILL convince you that you, too, can make gallery-worthy landscape paintings in half an hour. No, the point of watching Bob Ross is to soak in his steady stream of gentle encouragement. Like Mr. Rogers, Bob Ross is an uplifting-quote machine, quietly pontificating on “happy accidents” and just letting things happen as they will and going with the flow. Bob Ross is so sincere he’s easy to mock, but damn if his brand of positive reinforcement isn’t exactly what we need right now. So take a break with Bob Ross, have a nice cry, and remember it’s okay if you mess up, you can just keep going and make something new from your mistake.